This is almost certainly going to need the attention of a reader, before a plan of action can be sorted out. There's just no way to fieldstrip the details, otherwise. Check out the member pages at the Association of Independent Readers and Rootworkers, and see if you can find someone you feel comfortable working with. left Nigeria for South Africa some 2 yrs back, and I have never been better than I was back there in Nigeria, I have a consistent, real and obvious run of bad luck since coming to South Africa, and as much as I try to stay positive, I think, or rather I m confident that if I don't take drastic steps to end this, my life might as well be over. I ll appreciate any idea. pls help!!! After your uncrossed, do a roadopener spell to clear all obstacles from you. Also use some Fastluck products as well. To get things moving quckier. I recommend you also protect yourself so this dosen't happen again. I need some help with a generational curse. Not long ago my father pulled me aside and told me that since I was getting married I needed to be made aware of a curse on his bloodline. For at least 5 generations, the first born child of the eldest surviving child has died. I have no background as to when this started, but I was able to check records going back to my great grandfather and the pattern is consistent. My grandmother had an elder sibling who died of strange causes, leaving her the eldest. When she had her first child, the daughter died of an ‘uncommon ailment’, leaving my father as the eldest. My father’s first child, my sister, died of a rare disease that is said to only effect tiny infants and not usually progress the way it did (I can provide details but I’m not entirely sure it’s relevant). That leaves me as his eldest and the next in line. For a while I haven’t allowed myself to give it much thought as there isn’t much I can do. But as my husband starts talking about children, I realized there IS something I can do. I’m looking for advice as to protection of unborn or small children, and most of all I am looking for recommendations to rootworkers or readers that have dealt with something like this. I was scouring the rootworker listings, but I would really prefer to get a recommendation instead of going on a hunch. I’ve done work before undoing jinxes and crossings but I’ve never tried to work against anything with this sort of consistent pattern and frankly I’m intimidated. I want to be able to break the curse before my own children and grandchildren are in jeopardy, and I wouldn’t be opposed to getting an idea of what caused this in the first place. Also I JUST noticed there's a similar post here. I still would like a reference since I've seen first hand the effects of whatever is going on. Mine is not related to any reading I've already had, only from accounts of my aunt, great uncle and sister dying under near identical circumstances. Generational curses should be done by someone who is experienced in this type of work. If you reread this thread you'll see some pretty powerful workers who specialize in this type of work. I bet the person's name will stand out to you. and Saint Beretta Molla, she is a patron Saint of Mothers, Physicians and unborn children. While you are praying to these Saints, do the uncrossing work. If you have further questions you can PM me. Hi everyone I'm a newbie and sm about to order a jinx/curse breaking kit but before I do so I just want to make sure I get the right things for my situation. I grew up happy although poor, I was really good in school and was favored by alot ppl. However my Mother on the other hand was always a mess...she tries very hard to have a successful relationship but ever since she left my father her relationship were very rocky and our lives became very hard. I did a divination and realized that I had some jinx/curse however without mentioning my mom , the reader was able to tell me that this curse was coming from my mother to me. Is this possible? I know my mother was cursed because she's been told countless times but I don't think she knows what to do to help herself. Here's the background. My mom got involved with a married man which is my father and his wife became extremely angry and was obsessively stalking my mother. She happened to get a hold of my mother's picture and at the time my mom wss pregnant with me and had already had a 2 year old son (not for my dad). My dad's wife told my mother at the time when she got her picture that she was going to kill her and her son and her unborn baby(me). At the time my mom didn't pay any attention to the incident but something strange happened. My mom moved from her address and shortly after I was born but I was a few weeks before my due date. My mom's life spiral downstream ever since ranging from miscarriages to relationship problems to financial problems to her looking her very worst and I mean its not normal because everything she does fails. May I add that my dad and mom would fight non stop after that until his eife decided to come to America then there he goes(my dad) chasing after her leaving his children behind, but it's strange because he was clearly in love with my mom, so much so that he was obsessed with her. Now this relates to me because she obviously cursed my mom while she was pregnant with me hence why as I grew up relatively happy. But as I get older I realize that even though my life is a little better than my mom I see where I'm having similar problems that she had and every one around me is surprised at the way life is turning out for me. Its sad because I really try to have good relationships, jobs and just a stable life but since I got older and moved to America its been do so difficult. Most people say that a curse can carry over from the mother to a child. It is also said that whatever affects the mother during pregnancy may have an impact on the child. Make sure you include your mother in an uncrossing procedure regardless if she is living or dead. That kit will be a good start. A reading is how I knew of my own generational curse. I would even get it before ordering just in case there are more things to buy or maybe the reading will suggest something completely different depending on the situation. Thank you all for responding. I would like to know if by doing it more than once are you suggesting that I order more than one kits, and if so how many would you advice? By the way the kit comes with a 13 herb sachet do you believe it would be smart to do the ritual for 13 days. My mother is alive but living in the caribbeans. What can I have her do for herself, should we both do the same things, at the same time even though I am in the United States. I was thinking about using the moon phase as a guide, but I would also like to know some bible verse or psalms that would go well with what I'm trying to do. On the last note I would also like some help in figuring out what to use to restore some of what she stole from us with this curse, like: our happy, joy in relationships, our beauty, our success and prosperity she basically held us down to live a life of misery I want to refresh my life and my mother's life with the things she took away. I'm also want to reverse the curse back to its sender. I don't know about a $10 yes and no question. This type of reading would involve a lot more than a yes or no question. I would go for the 1/2 hour reading (minimal). You might want to obtain a full reading and some magical coaching on this. Or have spell work done for you. I believe that this would involve some work! Then, take a look at all of the cleansing threads on this forum. Just go to the upper right hand side of this page. In the dark green area is a white box. Type in spiritual cleansings. Let us know if you have any questions after reading these pages that I have provided. I won't go too much into my past here, but it was safe to say I was special. In my family, to certain people in my family, in general. In the past I dated A list movie stars and pro athletes. It was like I was a star myself. I firmly believe my biological mother put something on me before she died in 2000. My ex best friend's family put something on me last year as well, which made things worse. I know I have family members who have passed on watching over me and they have protected me from some very serious things. Due to what was placed on me, there has been basically a fight over me. My family members have kept me alive, but existing, not living. One minute there's feast, the next famine. I want to live again. There are glimpses of who I was born as, but then the spells, curses, whatever take over and then it messes everything up. I can't get a reading from my chosen reader for a few weeks (they aren't available until then), but this has ruined my (and my son's life) long enough. I have done 2 hyssop baths since these damn things have messed up something that would have turned my life around and I am working to get that back. I do feel better and money is starting to come back into my life (albeit slowly). I would like to know some things to do to further cleanse, then protect myself. I saw your post the day before yesterday and you were the next one that I was going to answer today. I apologize for not answering sooner but I had a bunch of people ahead of you. So, please forgive me. Glad that you are getting a reading on this. And so sorry that your life is not the way that it was. Before doing this, I would definitely clean the house with Chinese wash and then follow up with Tibetan Ghost purging incense to get rid of whatever bad things are in your house. You might even want to carry a protection mojo on you afterwards also. Uncrossing, Jinx Killing, and spiritual cleansing (followed by protection) is a bit of a process. But, in the end, you'll do better. Thank you SO much, Miss Aida. I didn't mean to sound impatient. I just realized after I posted it that the title may have seemed more like a post of something I've done, not something I need help with - but then I couldn't edit it. I have done SO much reading, but I was not sure how to proceed because I KNEW that the hyssop baths weren't enough. When you don't know where to start, you just get mired down. Thanks to you, I now have an attack plan and can begin to gather what I need. I am currently performing the 9 day herb bath for spiritual power and mastery. Many things are coming to the forefront. The number one issue is the family/ancestral/generational curse that has followed me and my siblings all our lives. Its alittle bit disheartening to read the responses on this page..i.e.. pull yourself together....13 herb bath day and uncrossing should do the trick... I have complete faith in these products but let me tell you curses are real and can be passed down from generation to generation. I am of Nigerian heritage and my father's last name literally means " a name that inspires anger". Somewhere along the line our real last name was interchanged for this one because our ancestors did something horrendous that the community cursed them with this name. In addition, where my mother was born, the first daughters are cursed. The first daughters marry have children and the husband leaves them. This is a fact, a pattern that repeats itself with each family. The first daughter's lives are always hard, difficult, and they ususally die alone . I have seen this pattern with me and my two sisters, my mother and her sisters and I have heard stories of my great granmother also going through the same pattern. The curse manifests itself as a repellent. thats the only way I can describe it. Men pretty much ignore me despite my beauty. I mean even when I join dating online groups I get very few responses. I have married twice and each marriage lasted around five years and my husbands left me. i did the uncrossing 13 day bath around my 49th birthday and I feel it has been effective. However I was wondering why I am still not finding love and I have come to the conclusion that my uncrossing has to be ongoing until I am completely clear. So I plan on at least monthly uncrossing baths and reversing work. I am writing this post to encourage others. I have spent the last 20 years running from Pastor to Pastor, from church to church in the desperate hope that someone can help me. To no avail. I have been diagnosed with the problem and no remedy was offered. I fasted and prayed and went for countless deliverances and yet still the same and unchanged. Well i have decided that maybe the power and abliity is within me, that I can break the cursed pattern and jinx that I was born into. And I will accomplish this task. I will also seek out a AIRR that understands and specialises in this issue. For those that are in a similiar situation, keep on moving forward and perservering. Start by telling yourself that you are the light in your family. Each morning you wake and at every possible opportunity say "I am blessed and highly favoured" even when you don't feel like it.The curse that affected your generational line will not effect you or your descendents etc. There is a great deal of power in the word. I would also like to take this opportunity to thank Miss Cat and all the wonderful LM team/family for your exquisite products and this forum. I have learnt sooo much and I continue to be empowered. Wow! What a POWERFUL post! Thank you so very much for sharing this with all of us. And I LOVE the Nigerian!!! My hope is to visit Nigeria one day: so much history, so much culture, etc. How do I set up an ancestral altar ? I really don't know much about my ancestors.I was thinking about a mirror reversal box to reverse the curse back. Would that work ? also enlisting Arch Angel Michael to fight on my behalf ? Nigeria is a beautiful country despite it getting a bad rap. let me know when you are going I will be more than happy to give you survival tips !! How do I set up an ancestral altar ? I really don't know much about my ancestors. Miss Aida thanks so much for this suggestion. it really got me pondering. My granmother married into the family and was not effected by the "curse". At first I was going to appeal to my great granmother who initiated my mother but My granmother is a much better connection. I have a wrapper she gave to me and her picture. my sister died young and an Uncle who I loved very much and protected me also passed on. I will set up an altar for all three. I spoke to my sister in London and she thinks this is a great idea and will set up her altar as well. The plan is to set the altar on the same day and to burn a candle the same day. A synchronised effort. Miss Aida, can't tell you how much I truly truly appreciate your advice. I went to for a reading yesterday and I was told that at birth I was cursed. The curse was placed during my mothers pregnancy with the intention for me or her to die. We are both alive but my life has been like breaking rocks. I knew within my spirit that there was something wrong but yesterday I received confirmation. But I was told that the curse was so old that there was nothing that could be done. My health is bad, I cant keep a job, I'm in so much debt that at this point Ive given up on life. Can a 41 year old curse be broken? Can I live the life that I dreamt of as a child? Can I know happiness before I die or will death release me from this suffering? I am so sorry to hear about your situation, please know that you have come to the right place for help and that there is hope. I merged your topic here and i think you will find some very helpful information in this thread, just scroll through. I would highly recommend getting a reading from a member of AIRR http://readersandrootworkers.org/wiki/A ... ootworkers. I find it irresponsible to tell someone you do a reading for that a curse can't be broken. Please get a second opinion, if money is an issue there are members of AIRR who do ten minute readings for ten dollars or you can sign up to be on the radio show. I can't imagine that someone would tell you that a curse cannot be broken. I had an excellent reading with Miss Aida about my mother. I need to do an uncrossing on her but I need to do it without her knowledge because she is suspicious of anything that resembles Santeria (what she grew up with in Cuba). She seems to be okay with herbal baths, so I will keep making those for her. Any other suggestions for low profile uncrossing work on someone's behalf? What about when she washes her clothes, you could dilute uncrossing bath crystals and put them in the rinse cycle? You can also put it in a spray bottle and spray her bedding when she's not home. As a matter of fat, you could quick spray a lot of things. Just a little idea here. Thank you Miss Aida! Her apartment needs a good cleaning so I can start with that and use LM Chinese Wash and Buffalo Ammonia. After I can spray the carpet and bedding water mixed with jinx breaker oil. I may have to do that more secretly. Maybe I can send her away while I'm cleaning under the guise of protecting her from the cleaning fumes. I can also offer to do her laundry and add some jinx breaker oil to the wash. Sounds like a lot of work, but it's badly needed. 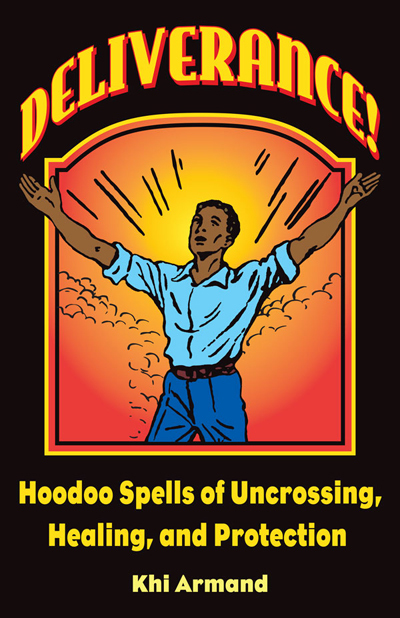 Firstly, I want to admit that I'm not experienced in hoodoo, voodoo, santeria, or brujeria. 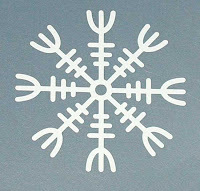 I come from European magickal training, mostly chaos, discordianism, and some neopaganism. I'm flying blind, but on a mission. Some 20 years ago, my fiance's father had a long-term affair with a bruja while his wife suffered and eventually died from cancer. He left the bruja when his wife was on her deathbed. A curse was laid upon the family. His two children, my fiancé and his brother, have suffered ever since. Their story reads like something out of a novel -- both of them suffer serious medical issues, psychological disorders, bad luck at love, even worse luck at money and work, abusive relationships, the list goes on and on and on. I love my fiancé dearly; he's absolutely the sweetest man I've ever met and does NOT deserve to carry this curse! And his brother now has twin boys who are already bearing the same burden at such young age. The two of them have diabetes, celiac disease, and one was born deaf. I freely admit to having little knowledge of the religious and magical practices of the African diaspora. I'm an outsider. But for the sake of my fiancé, his brother, and the twins, I ask for help. I haven't got Internet access of my own, so my replies may be delayed. I apologize ahead of time for that. If you are willing to help, I am extremely grateful! If you don't feel a need to post or send a message, I understand, but only ask for a prayer for the twins, please. They are the true victims. Welcome to the forum. If you get a chance (and would like to), please introduce yourself on the introduction thread. I would also encourage you to read the forum rules to get familiar with how we work. I have mover=d and merged your question to the appropriate subforum. The answers to your questions are on the very first page (uncrossing, fiery wall, etc). It would be easier t navigate the forum by going to the upper right hand corner of any page. In the dark green area, there is a white search box. Just type in your key words (in this case, curse) and then you'll be taken to a few topics. From there you can fid exactly what you're looking for. Thank you, Miss Aida! I'm sorry for not doing the appropriate reading first; obviously I'm extremely new and don't know my way around yet. Although I've found time and time again that, in magic (with or without the K), sometimes just asking for a nudge in the right direction can do wonders. I'll look into what you've suggested and purchase the spell kits. I'm very grateful for your help. I did some uncrossing work and uncrossing bath for 7 days. I believe my family is cursed in love starting with my Mom not her siblings but her and her immediate family ...My mom has never been married and has had bad luck in love all her life. She just recently got engaged in her late 50's but no wedding yet. I have had the worst luck in love as well and never been married despite the fact I am a good catch look wise, intelligent etc. I am often told by Men that I will make someone a good wife. I have 2 daughters who are young adults, and they have never been in relationships, not even experiencing puppy love. So I deiced to do the uncrossing which I did twice a month apart because the first 7 day candle had black soot at the top. Anyways, appx 8 days after my candle burned out I was sitting at home downstairs when I heard the huge BOOM above me. The sound came from my bedroom and it sounded like someone took a heavy TV or something and through it on the floor, it literally shook the house... I grabbed a knife LOL and ran upstairs to see that everything in every room, closet and even the attic intact. I called my Mom and told her what happened and she said she experienced the same thing earlier that morning having breakfast with her fiancé when they both her a loud boom that sound like it was coming from the Refrig or Garage....they both investigated to find nothing... I pondered on this thinking maybe the curse has been removed from us... I know I should get a reading...but just wondering if anyone experienced this before or does this sound like a removal of something? I can say since doing the uncrossing work I have had a lot of opportunities with jobs which was an issue as well. Thank you for your advice in advance. Dimplez, YES, the sound could very well have been the curse breaking. I can't remember where, but somewhere on this forum this issue has come up before. Seems like someone heard a loud 'pop' and it was an indication that the curse was broken. Does anyone else remember that old post? Anyway, if you see signs in your life that the jinx is off ... that is confirmation enough, right? If it were me, I would keep this information quiet in case the one who put the original curse on you is still alive. A reading would be helpful in this regards. But still, at the very least, you and your family should do some protection work to make sure nothing else gets on you. Thank you @MoonBreath I will definitely get a reading done. MoonBreath is right on the money!!! I was fortunate to attend the Hoodoo festival and recievedreceived a signed copy of this book. If you consider yourself under a curse or extreme bad luck then this book Is for you!! Ancestral curses are typically not dealt with in detail but fir those whose lives it effects , it's tangible. I almost feel that the lack of resources and remedies are also part of the curse. A feeling of hopelessness as Noone believes or can offer effective assistance. I love this book. It tackles our ancestors, Uncrossing, jinx ing etc, with specific rituals to remove you from the grasp of such malvolent energies. Thank you so much for this book Khi, Ms Cat and all at lucky mojo. It is an absolute Godsend. so does anyone have any idea of what i can do to get rid of this curse? You should consult your AIRR worker who is helping you, as they know your situation best and can advise on other things you could do to help. Asking for outside help may result in contradictory advice and you should avoid that. Good luck, I hope this situation gets better for you! Back in the 1970s my grandma had a gypsy come to her home trying to sell things and my gran refused, the gypsy woman said that my gran and all of her family would never have any lasting luck and would always encounter problems. Over the years this has come to light more and more with sudden deaths, accidents, people sent to prison for stuff they truly were not guilty of and many smaller incidents, little accidents, etc. I'd appreciate some genuine help and advice as every time my fiancee and I get one foot on the ladder someone kicks it away. I'm sorry that your family is experiencing so much difficulty. There may or may not be magical interference in your family's luck and it is impossible to tell without a reading from a reputable reader. You may wish to consult someone from the following sources, who are all ethical and capable readers and rootworkers. They can best discern the source of your problems and advise on remedies to overcome them. In the meantime, you may want to get an Uncrossing kit, which includes everything you need plus full instructions, to rid yourself of any spiritual messes that may be getting in your way. It never hurts, and can only help. I would focus on that specifically, since it has more roots in your family than a general curse directed solely at you might have. If in doubt, get a reading for clarity and advice on how to proceed. I need some advice on what my next steps should be in dealing with a generational curse. Over Thanksgiving, my mother was in San Francisco. She had some time to kill before meeting up with a friend, and decided to go hang out in a park. While she was sitting on a bench, a young woman (mid 20's) with black hair and black eyes sat down next to my mother. She had a young child with her. After a few minutes of sitting quietly next to my mother, she introduced herself as a Cherokee spiritual practitioner, or something along those lines. She explained to my mother that her mother, grandmother, etc. were Cherokee Medicine Women. She went on to tell my mother that she was getting some strong vibes from her, and asked if she could share what she was feeling with my mother. My mother agreed. The Cherokee woman told my mother that she had a daughter (me), and that we have a fractured relationship (which we do). She went on to make some statements, and then asked my mother if they were true. She mentioned that my mother may feel like she has bad luck because every time something good happens, it is undone with some horrible event. She also stated that I have very meaningful, successful work to do, but that obstacles always prevent me from fully succeeding, and reaching the planned outcome. The Cherokee woman also stated that both my mother and I, may have a feeling deep inside of us that keeps us feeling uneasy all the time. All these things that she said are true. The Cherokee woman then went on to say that the reason why my mother and I are having such a difficult time, is that my grandmother did something horrible, and was cursed by the person she wronged. The Cherokee woman said the curse was put on all females who are born of my grandmother and her lineage. The Cherokee woman stated that when she looks at my mother, she sees a tall man standing behind her and me. She said he is evil. She said he is preventing us from reaching our full potential, and experiencing true joy and happiness. When my mother shared this with me, she told me a story about my grandmother and my mother's 16th birthday. My mother told me that she had a sweet 16 party at her house, and that my grandmother started acted up (not unusual if you knew my grandmother), and a food fight was instigated. My mom's friends thought it was a cool party, but my mother was furious. After the party, my mother asked my grandmother why she acted up, and embarrassed her at the party. In a moment where my grandmother let her guard down, she responded to my mother, "I can't help it. I did something horrible, and I was cursed. It is the curse!" My grandmother never elaborated or spoke of the curse again. However, I do remember her running around telling my uncles, and their spouses that she would curse them when they upset her. I asked my mother if she asked the Cherokee woman on how to remove the curse. She said that my mother needed to by some candle that was around $300. My mother didn't get the name of the candle or any other pertinent information, but I refuse to start another new year with bad juju hanging over my head. I do not believe this was a coincidence, and truly believe this was at the very least a message for me. The last few years of my life have been horrific with obstacle after obstacle and setback after setback. I started using Angel Cards about a year ago, and through one of the readings, I found out that Ganesha is one of my spiritual guides. Ironically, I came across a beautiful handmade wooden Ganesha statue a few days later that I bought. I had no idea that Ganesha was a remover of obstacles. Now I feel like that I am being directed to more concrete evidence on how to truly remove these "generational" obstacles. 1) What are my next steps? 2) Can I break this generational curse on my own? 3) Should I seek someone who specializes in breaking curses? I live in the Southern California area, so if you have resources out here, I am completely open to them. Thank you! 1) Get a short reading from someone to confirm that there is a curse. It sure sounds like you do have confirming evidence, but further insight will be of benefit. At that reading, ask your questions # 2 and 3. An honest reader will answer honestly, not with self-interest. I think myself, my father and my brother may have some kind of curse placed on us. We all have been the victim of misdiagnosis by doctors so often with so many serious consequences, as I write this my Dad just got out of surgery and may have to have his hand removed because of the complications from a misdiagnosis, and I myself have a foot so swollen I can't get even one size up loose slipper on it, it hurts so bad, and I'll probably end up going to the emergency room tomorrow morning. I can't seem to get an accurate diagnosis for my health problems, one that doesn't change from month to month. My brother is the same way and always in pain. Nothing is resolved and healed. This doesn't end at our health, we have problems with car repairs, home repairs, musical instrument repairs, etc., nothing seems to be successfully fixed and we end up overspending so much money. We also have many other problems with jobs, money, relationships, but misdiagnosis, the inability to fix a problem, seems to be a recurrent theme. My feeling around what goes wrong is the Old Testament sense of "the perverse", evil intercepts and diverts the intended course of God's good for us, does this make sense? I want to contact AIRR and get a reading, but I'm afraid this curse will act on that to, is there something I can do before contacting an AIRR reader so that I can finally get some resolution? I've been to a psychic that I really believe in, and things kept going off in so many directions, everything just got so confused. Any help you all on the forum could give me would be wonderful. ALSO, do not state out loud to anybody that you are contacting an AIRR member for a reading (don't put it out in the universe for any entities to hear you). I hope this helps and that you are able to get the help that you need. Thank you Miss Aida. Before I went to the emergency room I lit a candle inscribed with a wish for healing and a clear diagnosis, and then anointed it with healing and clarity oil so it would be burning to back me up while I was there, and I wore chuparrosa oil as a scent. Although I didn't get a diagnosis, I got some good anti-inflammatory and pain relieving meds, and the doctor seemed a bit huffy, he took a whole bunch of pictures of my foot, he said he was going to email them to my doctor so that "she would take me seriously." LOL. I paid for a healing candle to be set at the church for my father too, it seems like I can already feel it, even though it's not set yet. I think something is upset that I'm doing daily cleansing and work to banish the bad and bring in the good, and then weekly work too. We've had a lot of poltergeist-like activity, a lot of things bothering our sleep and now all these health issues come up. I think I need to regroup a bit and think through my next steps. Poltergeist activities may or may not be associated with generational curses. But, usually is not if it's recent. Can a large amount of people praying against another large group of people (daily - at the very least weekly) for decades with the intention to "curse" them successfully do so? They just have prayer and intention and no real accurate knowledge, training or skill in this area but they will pray to the Trinity almost daily whatever psalms or other verses they feel are cursing in prayer. If it can curse...what effects should be looked for? And what would you do to protect yourself, family and pets if you and yours are on the receiving end of this crazy? Thank you soon much for any help. Yes, of course hat can happen. If a family or community prays "for decades," i would say that they DO have "real accurate knowledge, training or skill in this area." Why else do it? Normal protective spells will work, if you too have some "real accurate knowledge, training or skill in this area." See the section of the forum on protection spells for some ideas. Good point. I don't want to swallow it because it makes me sad and hurt. The truth is good. Thank you Miss Cat. Thank you for responding. I will definitely look at the link you advised. Thanks again. Yes, the Holy Bible makes reference to this in Genesis as well as other chapters. BUT it also references that your faith and loyalty to God will absolve this. So, your best bet is to get a reading to see what has actually occurred and how to remedy it. It could be a generational curse. Thank you, I'm glad I finally asked, or remembered to ask about this. I see what you mean, makes sense. I do need a reading. Thank you. If I had a disease, such as syphilis, and I gave birth to children, they too would have syphilis. Then, I go to the Doctor and get cured of the disease. Does my medical treatment clear my children of the disease also? No. They too have to get treated.